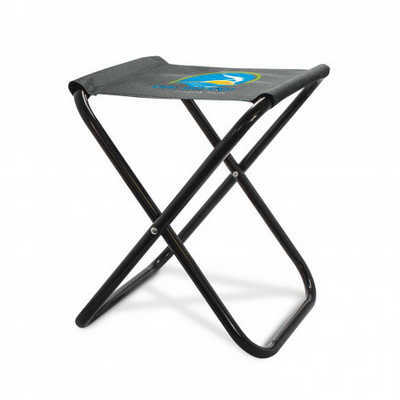 Lightweight portable folding stool which is ideal for camping, the beach, picnics, events etc. It has a strong powder coated steel frame with a recommended static weight loading of up to 100kgs. The seat is manufactured from 600D polyester with a plastic waterproof coating that prevents the fabric from retaining moisture when wet. Colours: Black. Dimension: H 300mm x W 265mm x 245mm. Print Description: 150mm x 150mm. Print Type: Digital Transfer. Packing: Loose packed. Price includes : Digital Transfer. Setup is included.